This Patek Philippe twenty-4 watches was auctioned at Worthy. 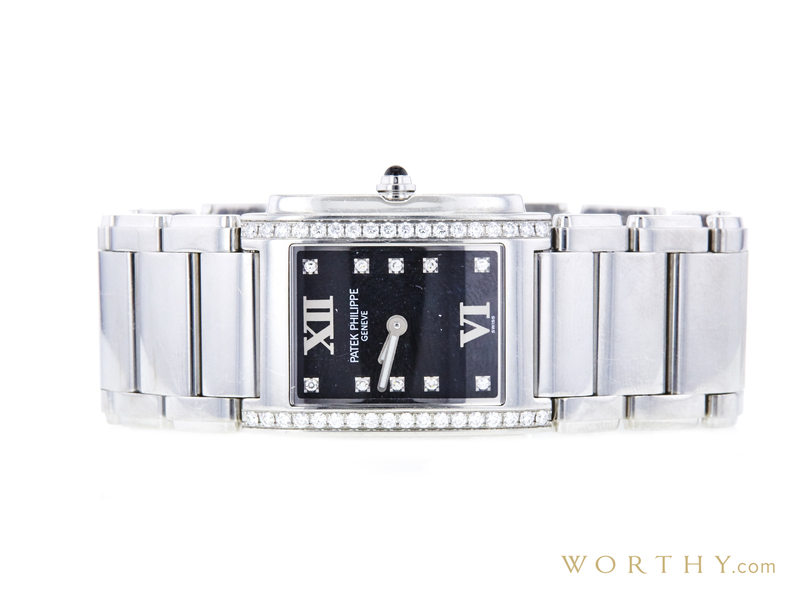 The woman's watch is 25 mm in diameter with stainless steel case, stainless steel band. It features complication and quartz movement. It came to us with papers and the original box. It is in fair condition and attracted 354 buyers.